SODELPA founding member Mere Samisoni. 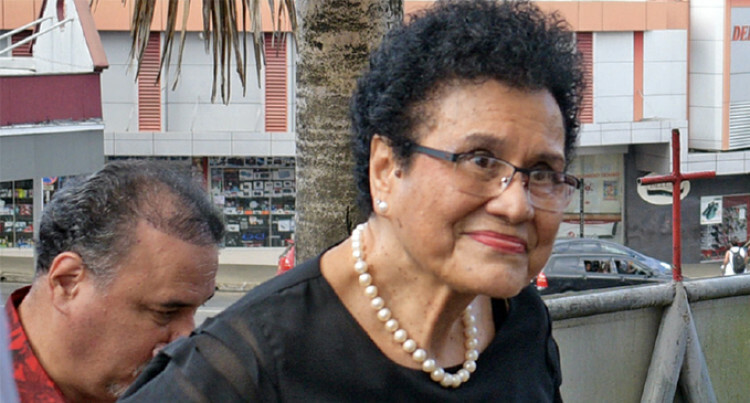 Former Social Demo­cratic Lib­eral Party (SODELPA) MP Mere Samisoni has claimed she was kicked out by her party during the 2018 Gen­eral Election campaign. The Hot Bread Kitchen own­er and a founding member of SODELPA is the second person to speak out over the delay in holding a retreat to review the election outcome. She supported a similar call by SODELPA Youth presi­dent Jope Koroisavou. In doing so she clashed with MP Mosese Bulitavu, who told her in an email exchange not to reveal her concerns in this forum, but at the right forum in a post-election workshop. MP Adi Litia Qionibaravi, the party’s general secretary, has called on dis­gruntled members to respect the in­ternal party processes. But Ms Samisoni claimed “as a founding member of SODELPA, I was kicked out by the party during the 2018 campaign when the party campaigned against me. These were the choice words used in the Lami Constituency Council, ‘If you don’t like the candi­date, vote for the party’. “I discovered this when researching why I failed to get my expected votes, of at least 5000. The party took just un­der 4500 votes of my votes. “This ‘divide & rule tactic with waka (kava)’ confused our voters whose trust had been built up by Tavola, the late Ratu JYK and Adi Miriama Kubuabola with their networks of pro­fessional economists and Methodist Christian values. “Mind you I wasn’t the only candi­date feeling short changed. I know of eight others who expected the party to promote the locally-selected can­didate. I and the Lami Constituency Council Presidents believe SODELPA would have won 31 seats not 21 to take over the Government in 2018. “We are still waiting for the retreat, six months after elections. Strategic success is time bound for adding value after that risks increase exponentially.